The color of the summer isn't just one summer, but rather, all of them! 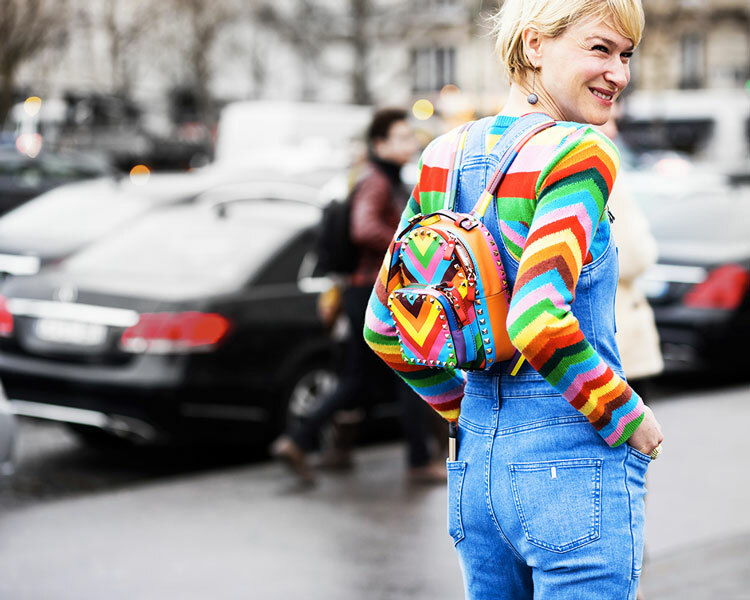 Get technicolor with rainbow pieces. Either go all out with head-to-toe rainbow, or add a pop of many colors with a colorful purse or pair of shoes. It's all up to you! I need this entire ensemble! That back pack is adorable and I love the long sleeve with the suspenders! Such incredible style. Those rainbow heels are fabulous!